According to The Federation of the Swiss Watch Industry FH, Swiss watch exports in 2018 grew 6.3 per cent year-on-year to CHF 21.2bn. Although the value of exports was up, the total number of watches exported declined by 2.3 per cent to 23.7 million items – there were 570,000 fewer timepieces exported in 2018 as compared to 2017. The decrease in the number of watches exported was mainly in the sub-CHF500 category of quartz timepieces. On the other hand, not only did the number of mechanical watches exported rise by 3.9 per cent, but also the average value of those mechanical increased by 6.6 per cent. Of the total Swiss watch exports, Asia accounted for 53 per cent of the overall turnover, a 12.2 per cent increase from the previous year. During the same period, the Europe market shrunk 2.9 per cent, but still accounted for a 31 per cent share of all Swiss watch exports. Among the Asian markets, Hong Kong was up 19.1 per cent while China came in at second position with an 11.7 per cent growth and Japan third with a healthy 9.1 per cent increase. The 6.3 per cent increase in overall Swiss watch exports last year is in sharp contrast to 2016 when exports fell 9.9 per cent compared to the previous year. The Swiss watch industry needs to be cautious though. While the exports in the first half of 2018 rose by 10.6 per cent, they rose only 2.3 per cent in the second half of the year. 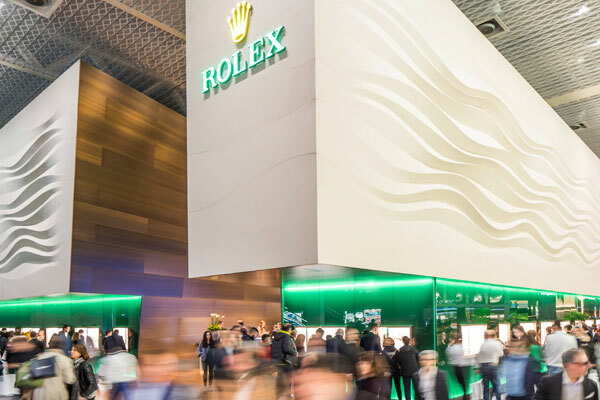 The mood at the recently concluded Salon International de la Haute Horlogerie (SIHH) – dominated by Richemont brands like Cartier, A. Lange & Söhne and Vacheron Constantin, among others, – was upbeat. Richemont ended the third quarter of its 2018-19 financial year, ending December 31st, with a turnover of EUR3.92bn up 25 per cent year-on-year.